This page outines my original prototype BMS system. Please feel free to email me at with your comments or questions. 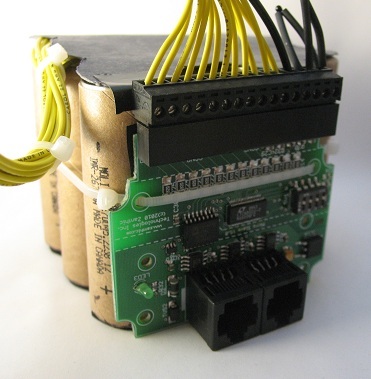 This project is a complete battery management system to monitor lithium ion cells. 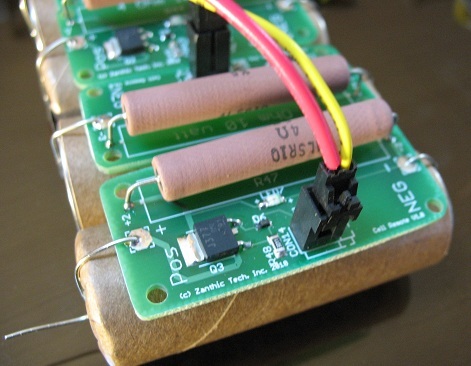 I use the term lithium ion as a general term to mean any number of specific types and chemistries of cells, including (but not limited to) LiPoly, LiFePO, LiMn etc The system is comprised of a micro-controller Master that can communicate with up to 16 Slave boards. 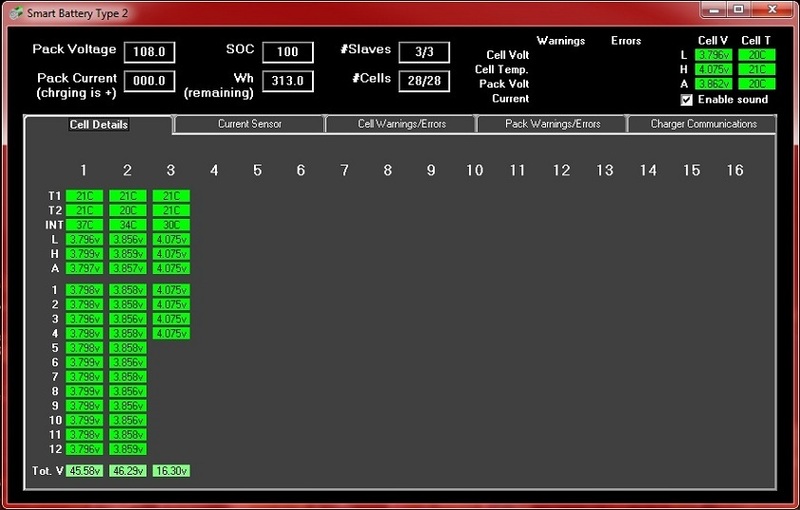 Each slave can monitor 12 series cells. One master can therefore handle 192 series cells and if required, up to 126 masters can exist on the same CAN network. Each slave is fully isolated from the communications bus and therefore the master and is also isolated from every other slave. This means that each group of 12 cells within a slave can be added in series or parallel or whatever combination of the two that is required. The entire system is completely configurable with easy to use configuration software allowing a modular system that can grow from 4 cells to 24,000 cells! Encrypted firmware updates can be downloaded to the master through the CAN bus interface. 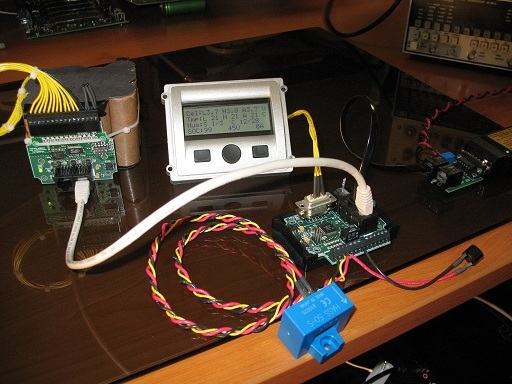 A cell monitoring system where the collected data is transmitted via CAN to other equipment responsible for an entire battery system like a solar or wind collection system. The above picture shows one of my test setups with a 12 cell E-Moli pack with a slave board strapped to the front, an off the shelf 4*20 line RS232 LCD screen with three buttons, a 50 amp current sensor (blue) and the master controller with a CAN-4-USB/FX interface partially seen to the right. allow for easy daisy chaining of slaves together. 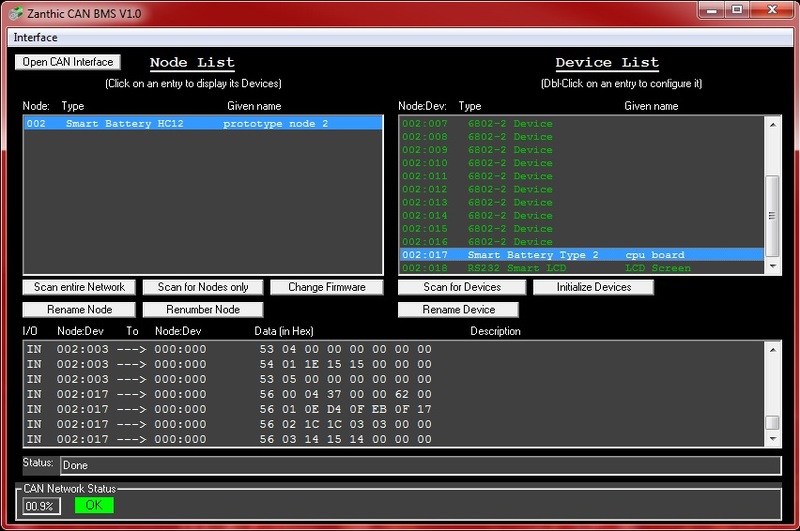 Screen shot of the configuration software. two external temperature sensors pointing in the air in the upper right of the picture. This is a different version of the slave board to accommodate external balancing circuitry. Because only 4 cells are connected, the other 8 inputs are jumpered together. Two thermistor temperature sensors are shown to the left. Each of the warnings and errors can have an individual trigger point and you can configure which output to activate when triggered. This means you could have one output activate when any single cell reaches a certain voltage and another output activate when the voltage is at a higher point (for example) You can also have an output trigger on any (or all) of the warning or error set points. More information is provided on the configuration screen shots below. 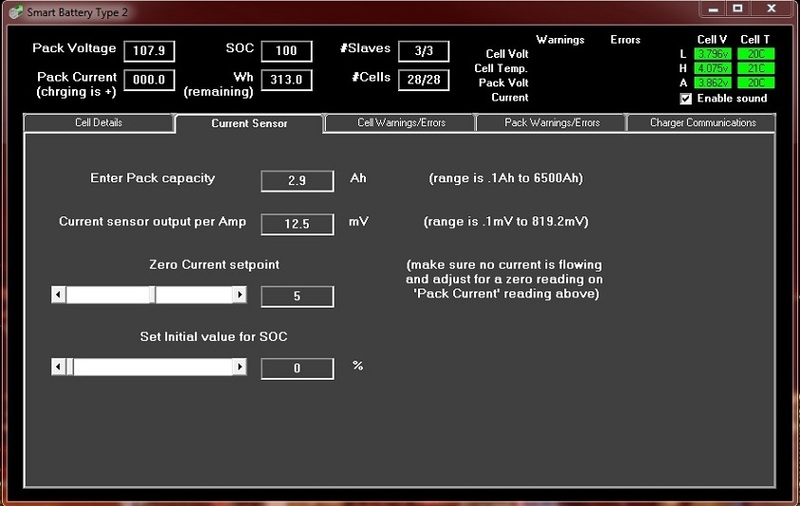 - Turn on balancing if cell voltage is above the pack average voltage by a configurable amount. This allows balancing to occur at any time the individual cell is too high. 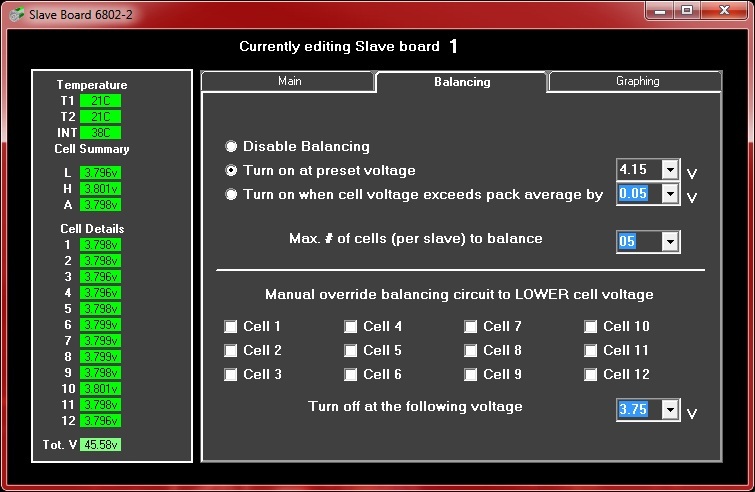 - Configurable maximum number of cells to be balancing at any one time. 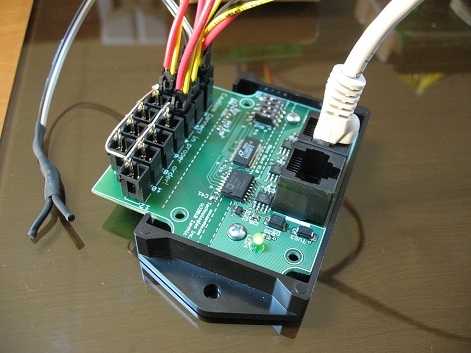 This feature allows the heat generated by either the internal mosfets or the external resistors to be controllable by setting the maximum cells (within one slave) to be balancing at any given point. Of all the possible cells to be in balance mode, the master will choose the highest voltage cells and activate them based on the maximum number in the configuration. - Manual balancing mode where you can create a voltage set point and the cells will turn on balancing until the voltage reaches that point and then turn off automatically. The maximum number of cells balancing at any one point applies to this feature as well. The above picture shows four different screen shots from simple to more detailed. 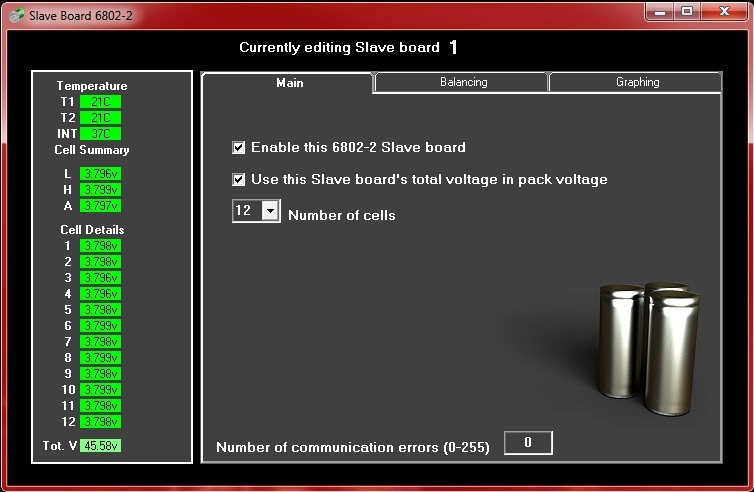 Note that there where no slaves plugged in with the upper left screen shot that shows zero voltage for the pack (oops). charge is 98%, the pack voltage is 107 and no current is flowing. The configuration software runs on a Windows PC with drivers for 64bit Vista and Win7 available and communicates to the master controller through my CAN-4-USB/FX interface. Note that the DLL for this interface is available so you will be able to write your own Windows software for monitoring the CAN bus data from this system, should you wish. 1) The entire network screen. 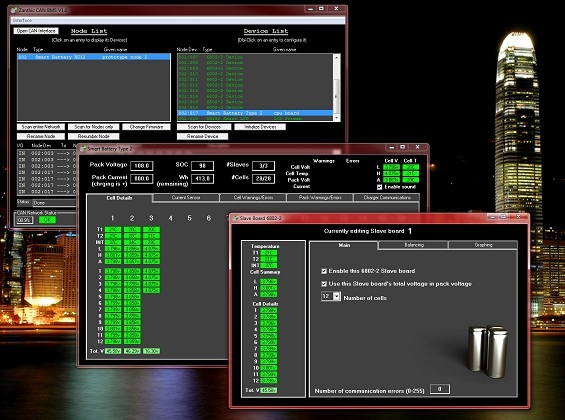 This shows the different master controllers that exist on the CAN network and when you click on the node entry, it shows the devices that are configurable within that master controller. 3) The individual slave board screen. Each slave can have a unique configuration. This tab contains the configuration for the pack capacity which in turn is used to determine the SOC and watt hours remaining. 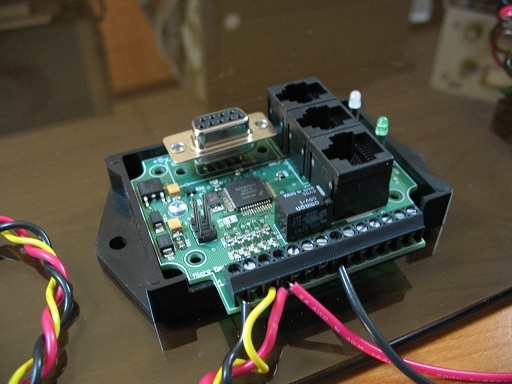 The current sensor can be any sensor that is 5v based with a zero current reading around 2.5v To allow for an offset from 2.5 volts, the zero current set point can be adjusted from 1.9 to 3.1v By simply plugging in the mV setting for a current sensor you can use any range of sensor, from a few amps to thousands of amps. 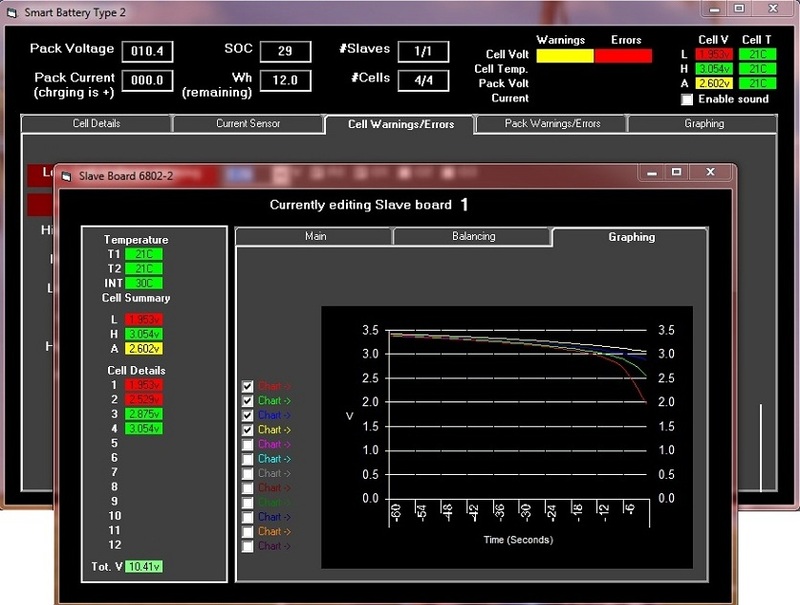 This tab allows you to set the individual warning and error thresholds for the individual cells. Note that there is a warning and error threshold which is really meant as giving you two individual set points for each. For example, this allows you to trigger a buzzer if any cell voltage drops below a certain point and turn off the pack if a lower threshold is reached. Or, conversely, you could have your charger respond to one upper voltage to go from a constant current mode to a constant voltage mode and then have a higher threshold to end the overall charge. Note that for each warning or error, you can choose whether it activates any of the outputs. Also note that the relay is special in that it releases if any of the warnings or errors occur (that have the R1 checked) This ensures that if the relay is used to enable charging (for example) that a power off condition, a micro reset or any of the warnings or errors will release the relay and stop the charging. This screen shows the similar warnings and error thresholds for the pack itself. In this case, the Out1 output will trigger on any of these conditions and the Out2 will trigger on an over current situations. When you choose to configure an individual slave board, you are presented with this screen. 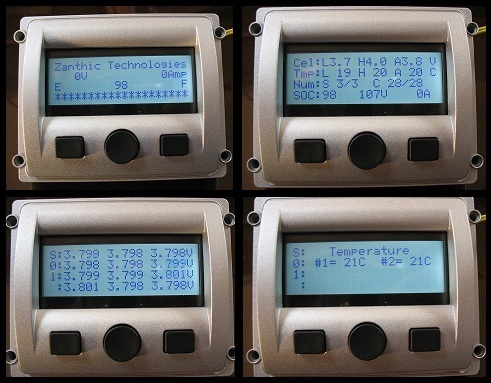 From here you can see all of the cell voltages with the low, high and average voltages as well as temperatures. I think the rest of the configuration is self explanatory. 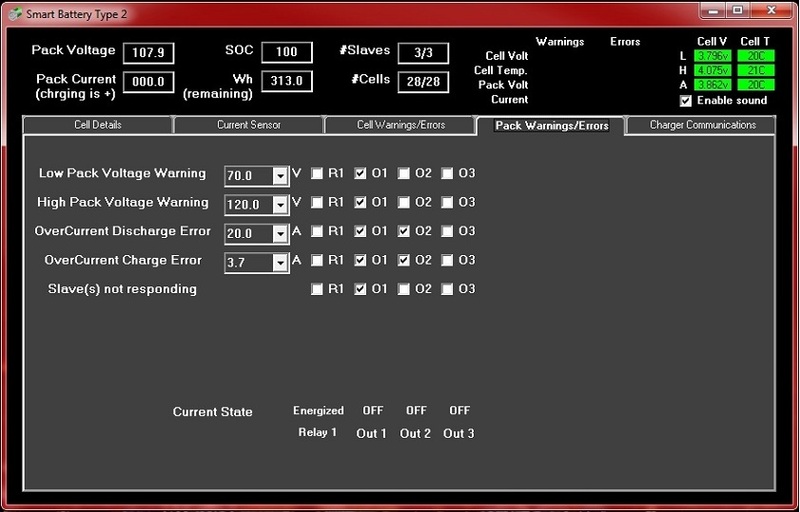 Communication errors are monitoring and displayed on this screen to give advanced warning of potential wiring issues. 2) you are using larger external balancing mosfets and resistors and you don't want to heat your pack excessively. This screen shot shows the balancing set to 3.7 volts and shows that all 12 cells are (A)utomatically in balance mode but only 5 are actually on because we have set the max # of cells to balance at 5. In this case, because the cells are so close in voltage, the balancing will jump around from cell to cell because as the balancing turns on, it will lower the cell voltage slightly which in turn will cause another higher cell to be switched on at the next check. 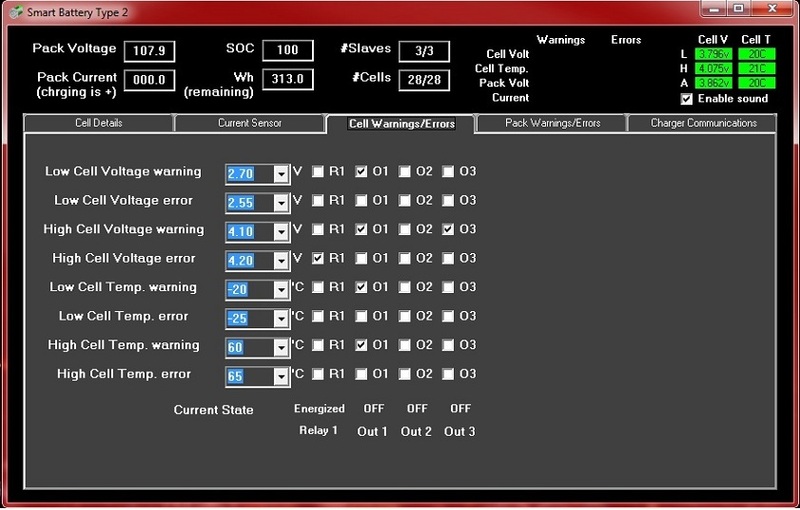 This screen shows the manual (O)verride feature turned on with the same 5 cell limit being enforced.